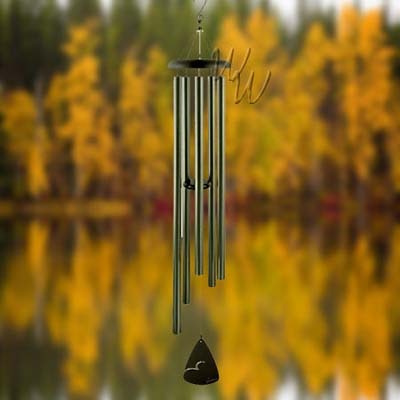 This chime features a high quality sound that emits deep rich tones. Features central suspension for deep rich tones, and years of enjoyment. 5 heavy walled, center pinned tubes that emit a soothing and serene sound. Durable powder coated finish, all aluminum construction, and strung with industrial cord. Includes an adjustable striker.